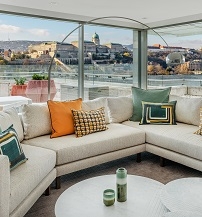 If Budapest is a composite of Buda, Pest and the Danube, Budapest Marriott Hotel offers the most central and convenient vantage point to experience the Hungarian capital’s three most salient features at this stylish crossroads. The hotel’s comforting hues of beige, blue and dark wood complement as well as bring out the blue shimmer of the Danube just outside the building, lined with the Buda hills and the Castle District on the other side. Stay indoors and take in this overwhelming display of a river-side city in the comfort of your room. Unwind at Aqva Lounge Bar, sampling world-class Hungarian wine or sipping signature cocktails. Savour Mediterranean and Hungarian delicacies at peppers!, our specialist grill. Treat yourself to the luxury of signature Marriott care and attention always specifically focused on you and your needs. Celebrity architect József Finta designed and re-designed the iconic building of the Budapest Marriott Hotel, which has come to define the contemporary Pest-side Danube-scape. All of its rooms offering, river views, the façade’s reconstruction softens its concrete modernity and playfully references the f low of the Danube. The entrance is adorned with the architect’s spectacularly geometric mural. 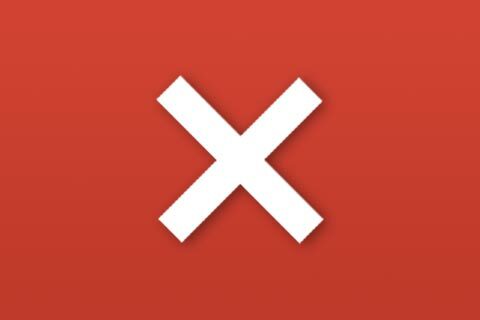 Even more privileges? Absolutely. Access to the Executive Lounge opens the door to services otherwise not available to all guests. This dedicated area provides a chic space, to relax or to do business in, complete with an expansive terrace overlooking the very heart of Budapest, the Danube and Buda Castle. Enjoy Continental breakfast, mid-day snacks, hors d’oeuvres and soft drinks or our Honor Bar as well as complimentary business services. Riparian = waterside. Only peppers!, Budapest Marriott Hotel’s Hungarian-Mediterranean grill restaurant allows you to take in Budapest’s Danube-side hustle and bustle on a spacious terrace. A rare feature on the embankment downtown, the peppers! terrace offers a most exclusive comfort zone to enjoy the restaurant’s award-winning specialities and iconic Sunday Brunch. 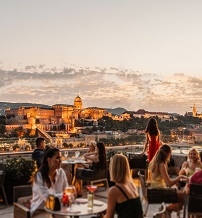 The AQVA Terrace creates an open-air lounge to take full advantage of Budapest Marriott Hotel’s unparalleled location by the Danube, serving classic as well as creative cocktails and canapés as you unwind and ease into the Budapest night. Fitness and Health Club by Marriott, with an incomparable location in the heart of the city center. Be our guest and stay in shape with supervised classes, or with the help of a personal trainer. Enjoy the sauna, steam bath and whirlpool for relaxation. All this in the perfect setting while indulging in the magnificent views of the Danube River from our gym. It is not just right in the centre of the city but it is a whopping 1700square meters located on the mezzanine level of the Budapest Marriott Hotel, making it one of the largest hotel-based MICE facilities in Budapest. With sensational views of the city our conference rooms can comfortably host up to 1700 people. The space is flexible to accommodate hospitality lounges, a grand ballroom, as well as break-out opportunities.